Start the year off right with the newest addition to your fleet. Vessels come with lots of manuals and instructions as well as increasing amount of high-tech equipment. That said and even if it just involves a new digital camera or Blu-Ray Player, reading manuals is never exciting. Similarly, reviewing equipment documentation on a vessel is downright daunting, especially when you consider all of the other work it takes to get a vessel into service. That said; it is critical that the crew understand new equipment and are able to operate it. Get this part of your operations right from the very start. While obvious competencies are in place (that’s why you hired qualified work force, after all), care should be taken in the first few days of operation to make sure you are off to the right start. Don’t institutionalize bad habits, or worse, inherit bad one from the previous vessel owner. Recently, I was in a class where the Cosco Busan was discussed at length. One person who had intimate knowledge of the case indicated that remnants of the prior crew’s incorrect voyage planning was left on board and perhaps contributed to the accident. An ill-drawn course line to transit the span of the Golden Gate Bridge was on the chart in use on the day of the accident. This chart line had been drawn by the previous company’s officer(s) who had operated the ship on the last voyage. It was the track line in use, even after the inbound pilot informed the crew that the track line was incorrect. While I’m sure the outbound pilot did not consult the chart and use that track line to transit the area, it’s still an example of where remnants can kill. Also, in the case of the Cosco Busan, the manuals on board were not in the working language of the crew, as required by the International Safety Management (ISM) Code section 6.6: The Company should establish procedures by which the ship’s personnel receive relevant information on the safety management system in a working language or languages understood by them. Manuals were, however, just not in Chinese. And while the crew had been on board for just two weeks, it was two weeks too long without understandable manuals, and with a very unlucky outcome. While these are extreme cases, it’s important to realize that the previous owner (or even the crew on board for sea trials in the case of a new build) may leave behind what is appropriate for their company’s operation, but not yours. Before the vessel begins service is the time to catch these adulterations to your management systems. Operating instructions should be reviewed to make sure they reflect how you expect your crews to operate the equipment. If a checklist was generated by the previous owner or the shipyard, make sure it matches your procedure, especially when it comes to testing the equipment. Pollution prevention equipment should also be addressed, as your policy may be stricter than what was in place before. Hopefully, your crew will be the first to tell you if a posted placard or policy is not correct. But the crew may accept whatever documentation and placarding is present on new equipment (or a new vessel) and assume it’s the new marching orders from the company. Bunkering or fueling procedures are a requirement for all vessels. Care should be taken that (a.) these procedures exist; (b.) they are correct; and (c.) they match the company’s environmental policy. This is often overlooked. An auditor – certainly this one – will want to see them. Best practice, for example, is to have a binder with the bunkering procedures, as well as tank sounding tables, so that they can be available at the fuel station when fueling as required by law. There could be new equipment on board that your safety management system does not address. Incinerators and oily water separators are examples of equipment requiring specific operating instructions, as well as clearly defined geographic areas where the equipment can be operated. Also consider whether the vessel requires a separate waste management plan, or if the company’s current procedure is sufficient. I had the opportunity to take delivery of the first vessel built at a new shipyard. Due to a conflict of interest, a sea trial crew was used on the two sea trials conducted prior to delivery. The vessel was fitted with state-of-the-art plasma mooring lines with a breaking strength higher than that of the winch brake. I had never seen anything like these lines before — pliable and splice-able, yet hard as a rock when under tension. But I knew enough to understand they required a split drum, with the tension line split off to the working side. The delivery crew, however, didn’t know this, not being very familiar with these types of lines. Our brand new mooring lines could have been ruined before the vessel even finished its first voyage if our crew had merely followed the old crew’s procedures for mooring the vessel. That would have been a very expensive mistake. Care should also be taken to meet all regulatory requirements for the myriad of placarding requirements. This includes signage about oil (Discharge of Oil Prohibited), addressing Marpol requirements (no plastic overboard and limits on what garbage can be tossed over the side and where), correct labeling of the Marine Sanitation Device and countless others. All of these are required by the Code of Federal Regulations and you would also be surprised by how many of these can be overlooked in the new delivery process. A new vessel can also mean a new area of operation which, of course, comes with a huge list of items to be checked. The term “management of change” comes to mind in the effort to ensure no area is overlooked. As such, a new vessel is great for document control as you have a fresh start: new vessel, new procedures, new forms, new documents and (hopefully) no sins of the father. Be sure to take advantage of this fresh start by maintaining good document control as you sail into the future. 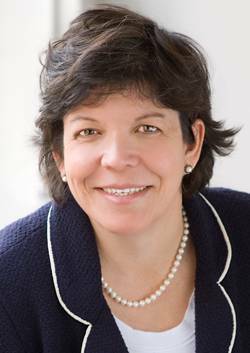 Captain Katharine Sweeney is CEO of Compliance Maritime, provider of independent internal auditing of security, safety, quality and environmental management systems for vessel operators. Captain Sweeney is an experienced Master Mariner, safety expert and federally licensed pilot with over 25 years in the Maritime Industry. Contact her at captsweeney@compliancemaritime.com.